Over the weekend, car shoppers across the state of Kansas could be heard rejoicing at the announcement of a revolutionary new website. 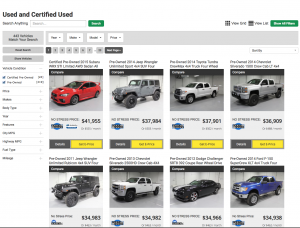 The vehicle search results page now includes an expanded set of search refinement options, as well as displaying the vehicles in a grid, which users of e-commerce sites like Amazon will be familiar with. 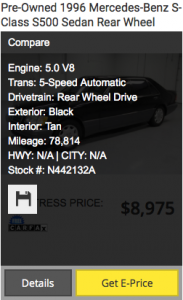 Our vehicle search results pages are now more user-friendly! After saving a few vehicles, click on the “Saved Vehicles” tab on the left side of your screen, and you’ll see the list of vehicles in the order you saved them. Handy, right? Of course, if at any point you feel like you’d benefit from the assistance of one of our Non-Commissioned Tour Guides, getting in touch with Super Car Guys is easy. 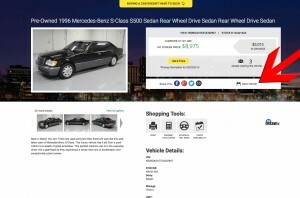 Just click on the option that best suits your interests (Get E-Price, Schedule a Test Drive, Check Availability), let us know how to get in touch with you, and we’ll be with you in no time at all. If you don’t know which option to choose, don’t worry–we’re happy to help. From here, you can view our inventory, get approved for financing, get a quote for your trade in (keeping in mind that we’ll buy your car, even if you don’t want to buy one of ours), get paid for referring someone to us, schedule service for your vehicle, or learn more about our organization, including how to join our team! 0 comment(s) so far on Brand New SuperCarGuys.com Website Announcement!